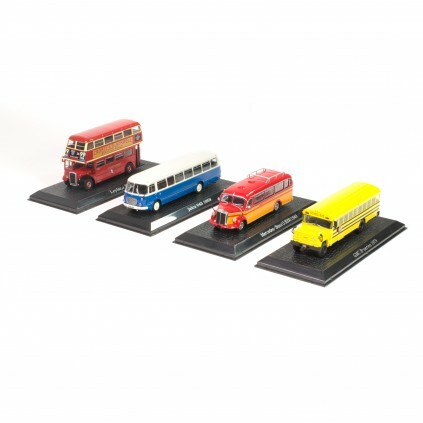 Detailed models that reproduce vintage buses and coaches, mainly from the 1950s and 1960s. 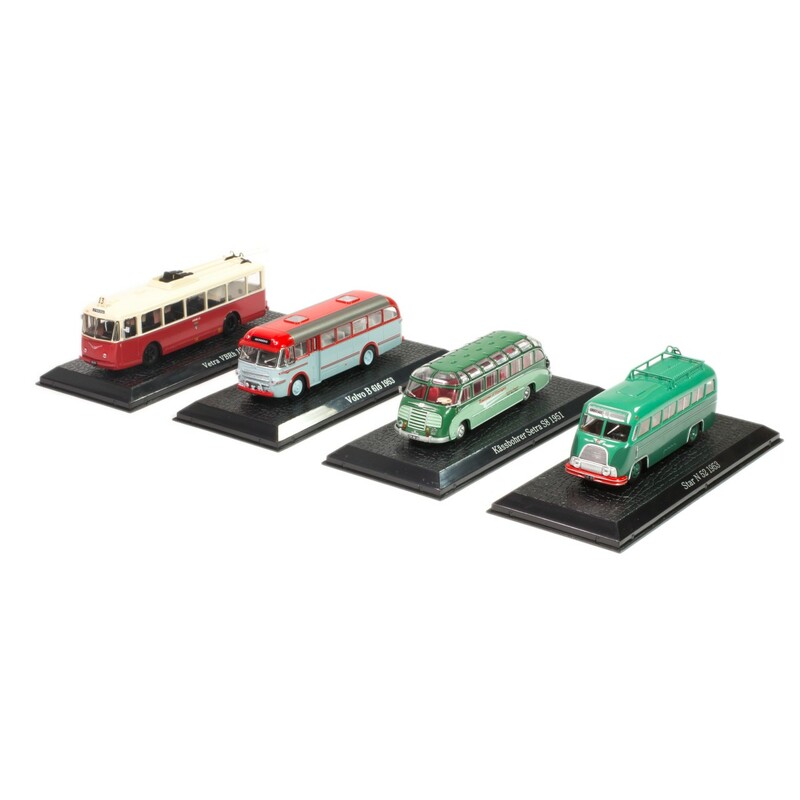 The world of vintage buses and coaches is the subject of this splendid series of 1:72 scale models that reproduce, with incredible richness of detail and faithfulness to the originals, some of the most famous public transport vehicles of the 1950s and 1960s. Buses of all nations are represented: Germany, France, Italy, Sweden, Austria, Switzerland, the United States, Great Britain, Hungary, Poland, and East Germany. Each model is the result of careful research that means the colors, insignia and plates used at the time have been faithfully reproduced. A collection no enthusiast can afford to miss. 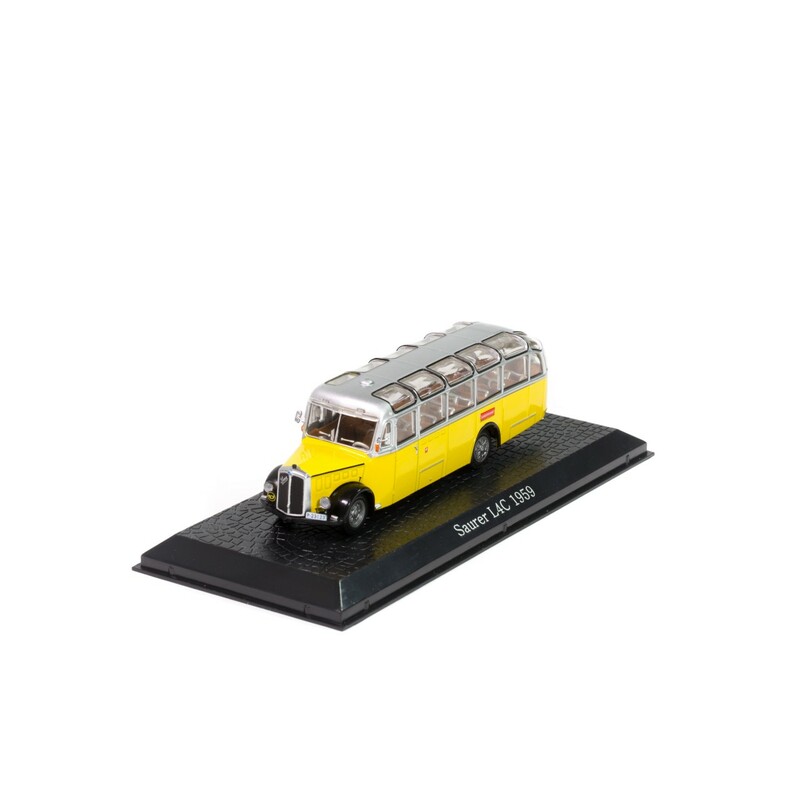 SAURER L 4C: Manufactured by Swiss company Saurer, this bus from 1959 with its characteristic yellow color could seat 30 passengers and was used extensively on Alpine roads. Model made of metal, complete with display base, transparent case and box, 1:72 scale. IFA H6 B: Robust 32-seater bus manufactured in 1958 in East Germany, where it was used extensively inside and outside cities. 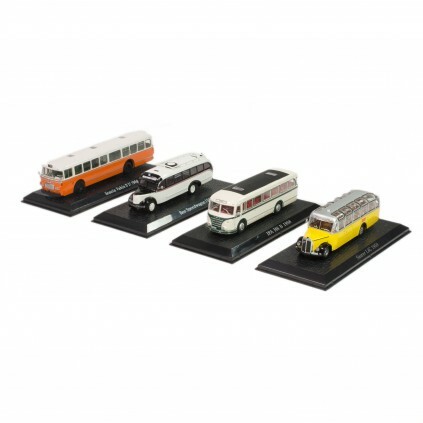 Model made of metal, complete with display base, transparent case and box, 1:72 scale. 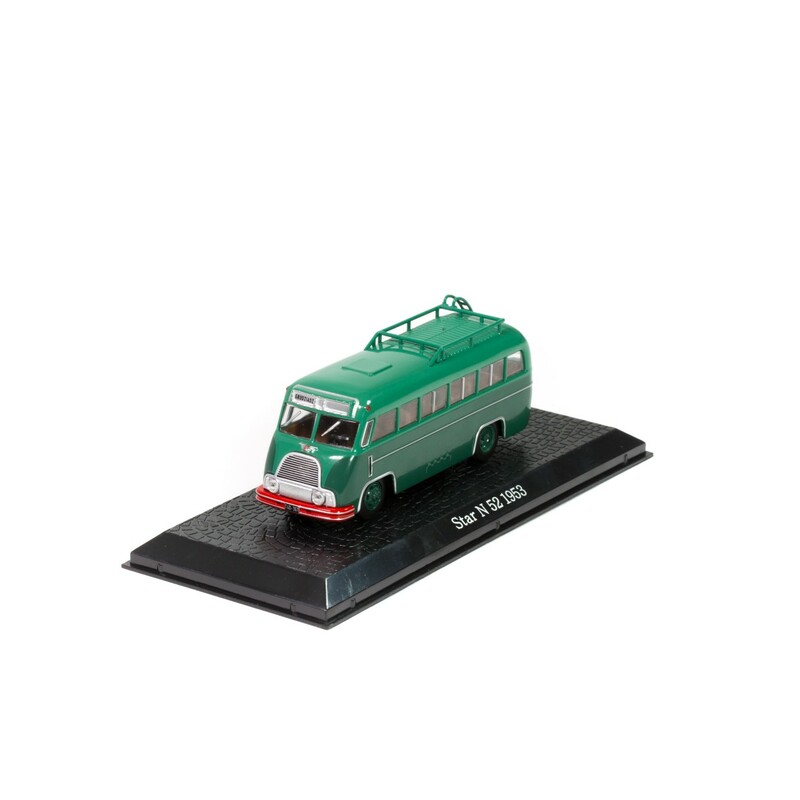 STEYR 380Q: Typical bus of post-war Austria. 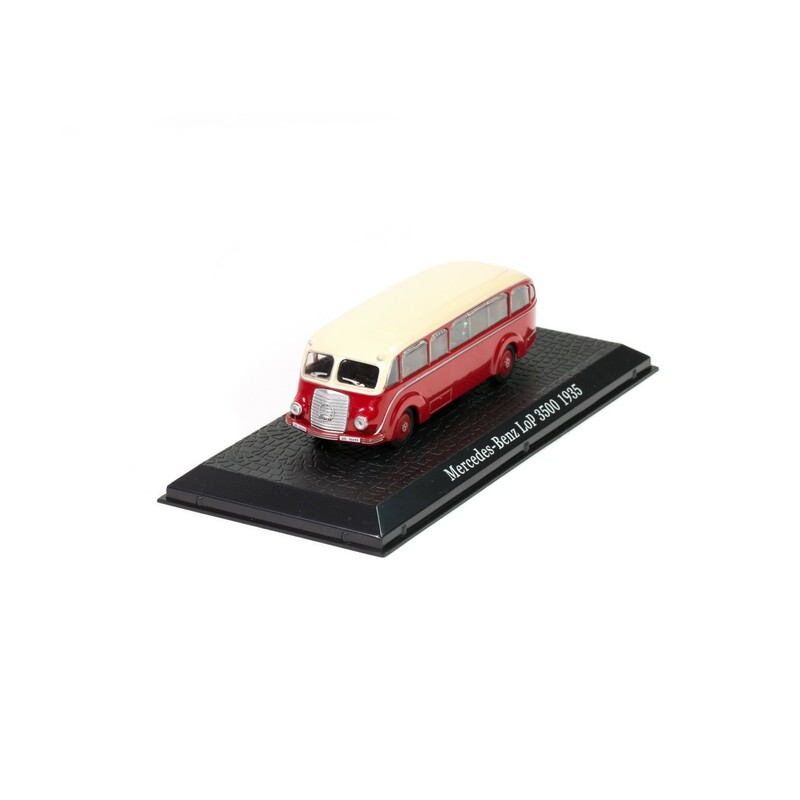 The model reproduced here is from 1955 and has a two-tone burgundy and cream livery. Model made of metal, complete with display base, transparent case and box, 1:72 scale. FIAT 306 INTERURBANO: Manufactured by Fiat and considered to be very well designed, it could be used on intercity routes. Model made of metal, complete with display base, transparent case and box, 1:72 scale. 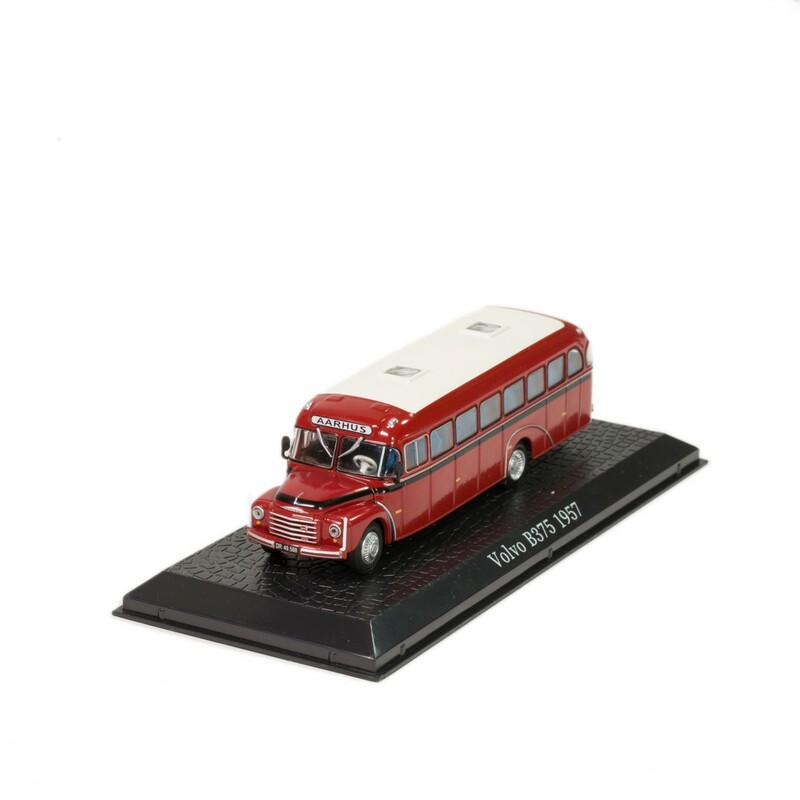 VOLVO B 616: The Swedish Volvo B 616 from 1953 had 31 seats and a maximum speed of around 80 km/h. It was a compact vehicle ideal for short and medium distances. 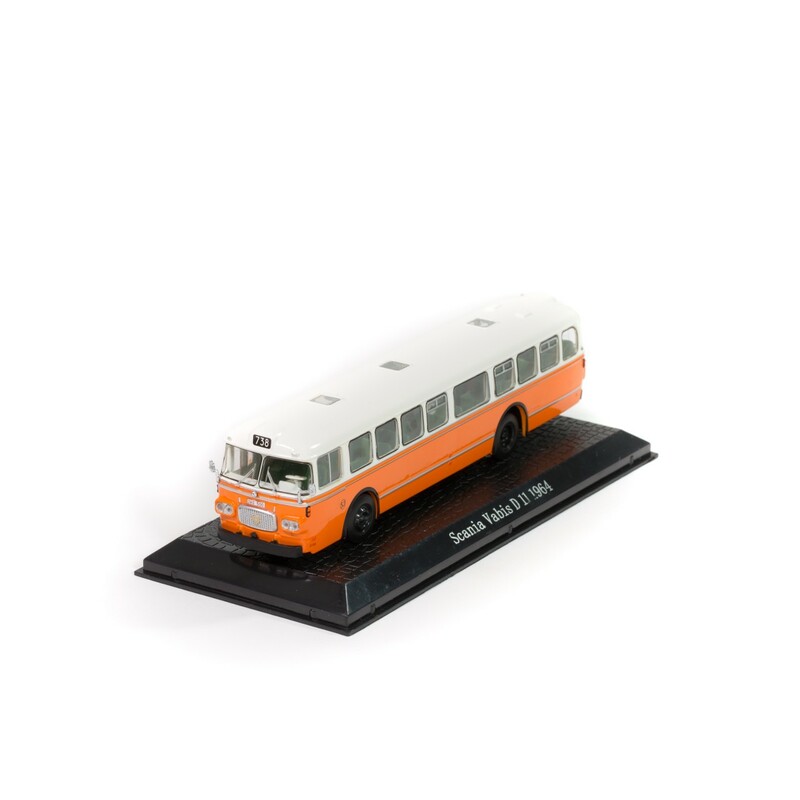 Model made of metal, complete with display base, transparent case and box, 1:72 scale. REO SPEEDWAGON: The imposing Speedwagon by American company REO was designed for medium distances and intercity routes. It could seat 28 people on comfortable leather seats. 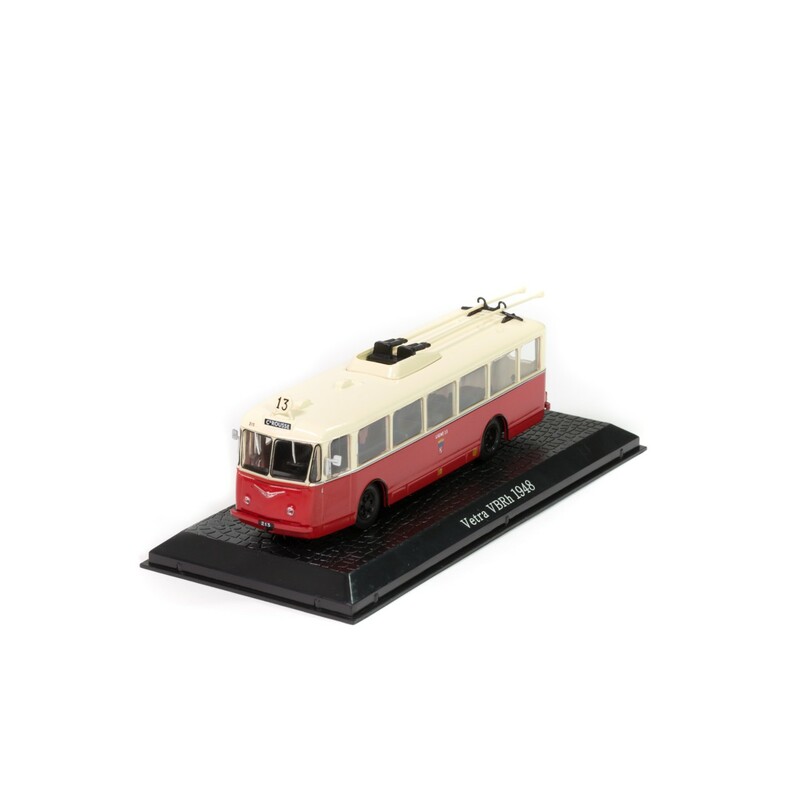 Model made of metal, complete with display base, transparent case and box, 1:72 scale. 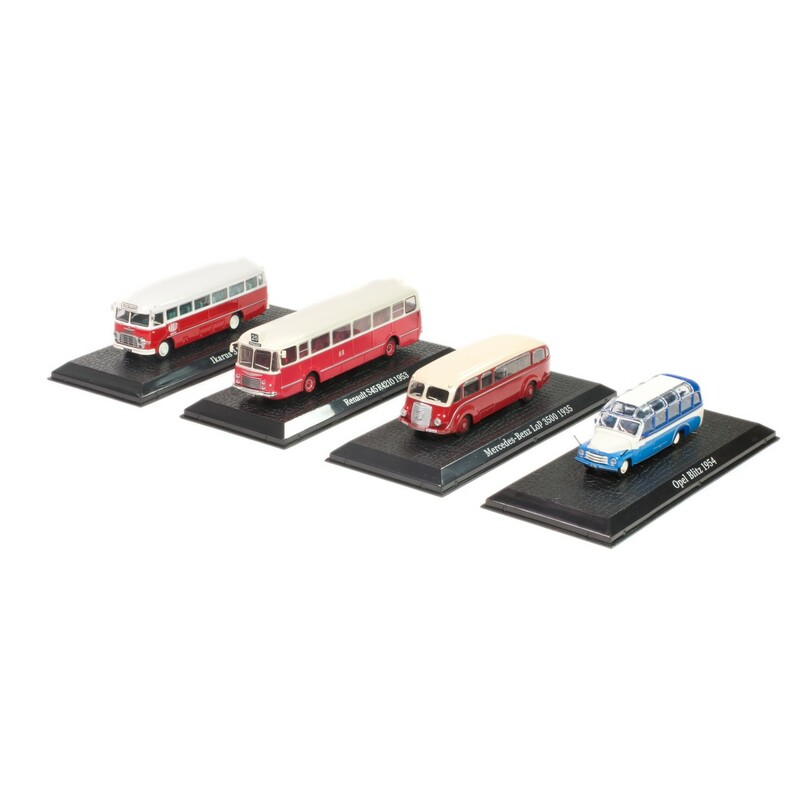 IKARUS 311: Characterized by its self-supporting bodywork, the Hungarian Ikarus 311 from 1959 was a very good mid-category bus with 26 seats. 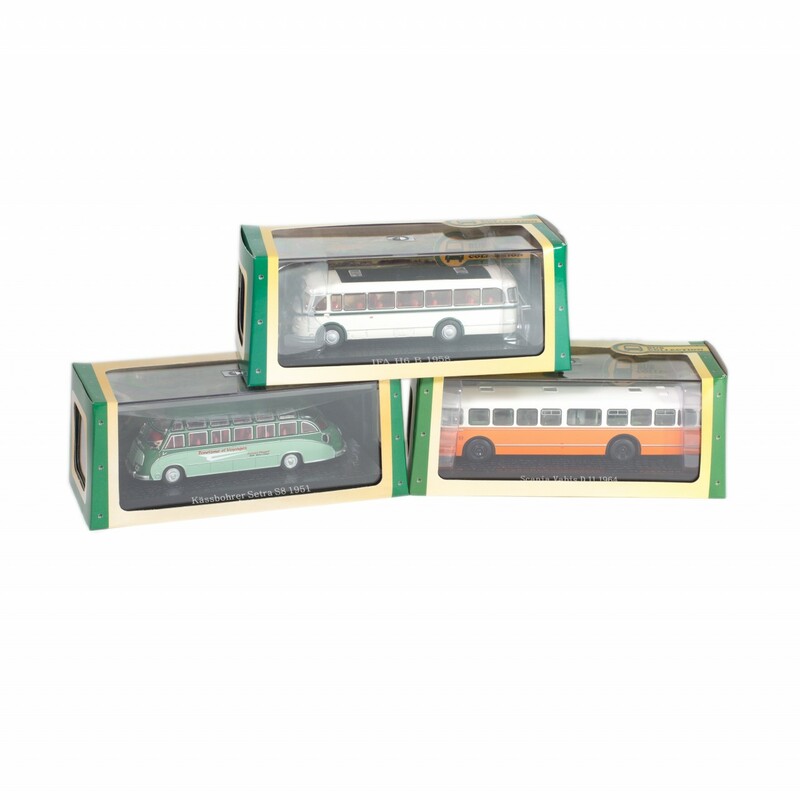 Model made of metal, complete with display base, transparent case and box, 1:72 scale. VOLVO B 375: Robust and versatile, the Swedish Volvo B 375 boasted good performance, despite a not very powerful 91 hp engine. Model made of metal, complete with display base, transparent case and box, 1:72 scale. MERCEDES-BENZ LOP 3500: This futuristic Mercedes bus with its aerodynamic lines was presented in 1935. It had luxurious interiors and could travel at a maximum speed of 120 km/h. 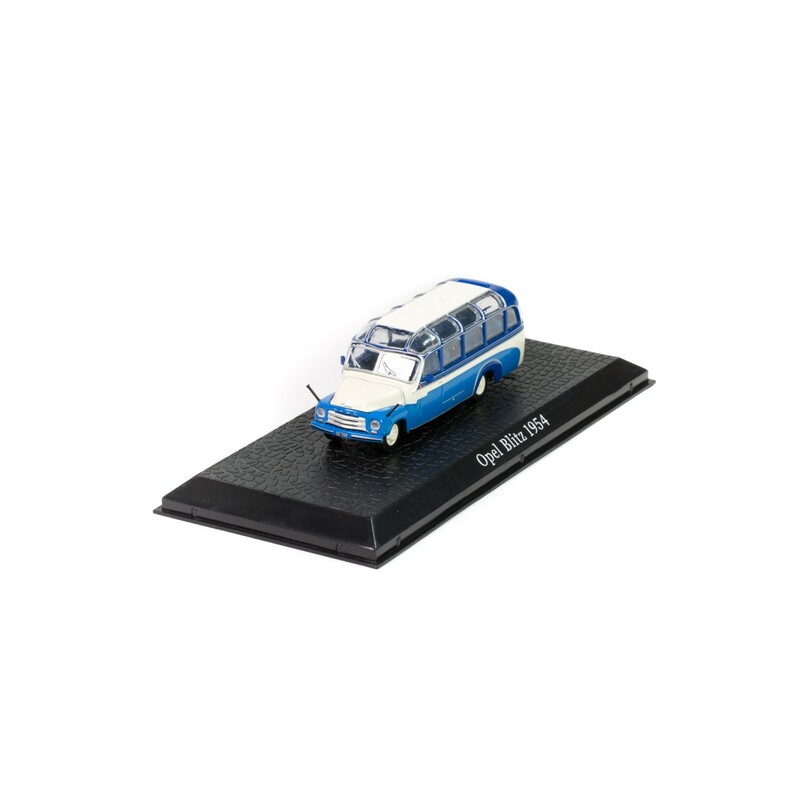 Model made of metal, complete with display base, transparent case and box, 1:72 scale. STAR N 52: Manufactured by Polish company Star in 1957, it had 34 seats and was designed for long-distance travel. Model made of metal, complete with display base, transparent case and box, 1:72 scale. OPEL BLITZ: Manufactured in 1954 and based on the chassis of the old Opel Blitz truck, this small 17-seater bus featured a modern structure thanks to which passengers could admire the views around them. 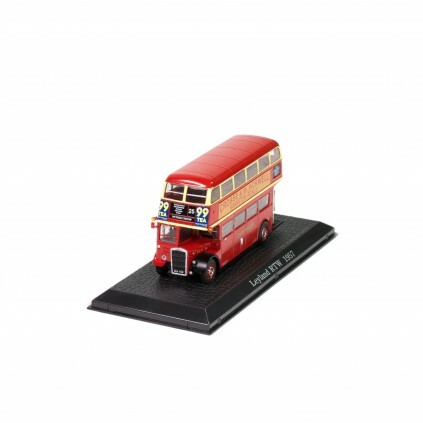 Model made of metal, complete with display base, transparent case and box, 1:72 scale. JELCZ 043: Manufactured by Polish company Jelcz under license from Czechoslovakian company Skoda, the Jelcz 043 from 1959 had 52 seats. 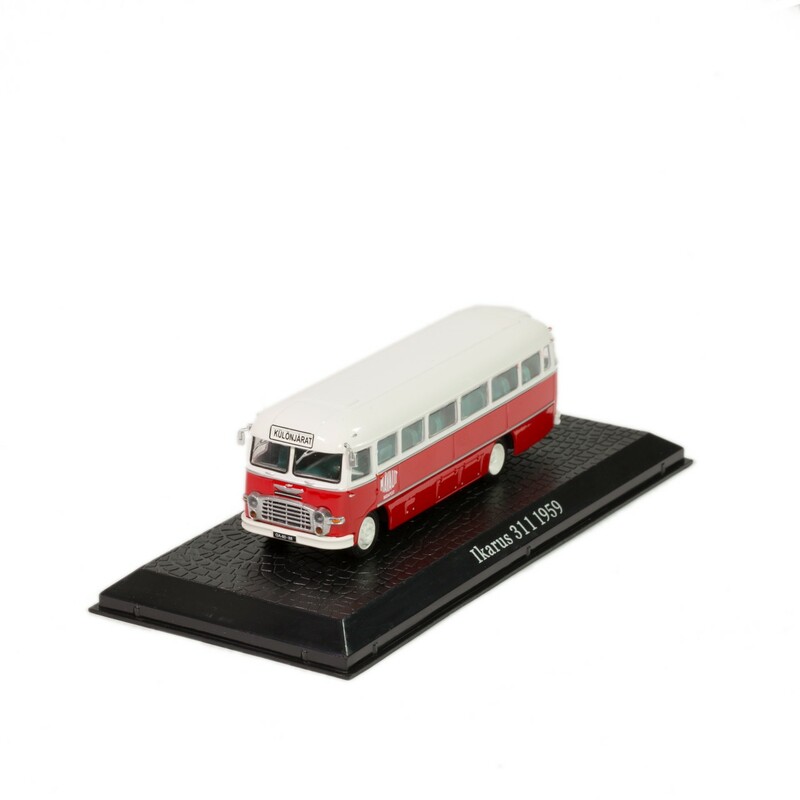 Model made of metal, complete with display base, transparent case and box, 1:72 scale. KÄSSBOHRER SETRA S8: The elegant Setra S8 was presented by German company Kässbohrer in 1951. It had an aerodynamic body and could carry 42 passengers. Model made of metal, complete with display base, transparent case and box, 1:72 scale. LEYLAND RTW: This famous double-decker bus was produced after the war to meet the requirements of the London Passenger Transport Board. 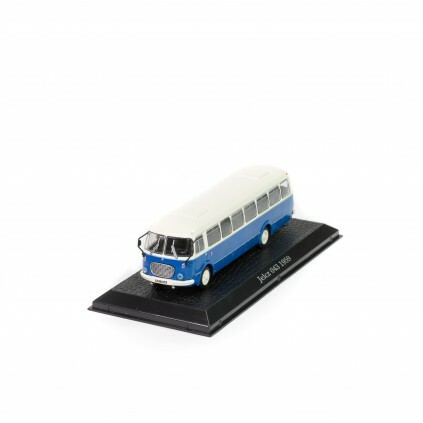 Model made of metal, complete with display base, transparent case and box, 1:72 scale. MAGIRUS DEUTZ SATURN II: Bus featuring a self-supporting body produced by German company Magirus-Deutz. High level of comfort thanks to its air suspensions. Model made of metal, complete with display base, transparent case and box, 1:72 scale. MERCEDES BENZ O 3500: The first Mercedes bus developed after the war, the O 3500 remained in production from 1949 until 1955. Model made of metal, complete with display base, transparent case and box, 1:72 scale. RENAULT S45 R4210: Developed by Renault as a city bus, it had two large doors opening on the right side. Model made of metal, complete with display base, transparent case and box, 1:72 scale. GMC B SCHOOL BUS: Typical American bus school built in 1966 by General Motors. The all-over yellow color is characteristic of this vehicle. Model made of metal, complete with display base, transparent case and box, 1:72 scale. VETRA VBRH: Trolleybus manufactured by French company Vetra. This vehicle was put into service in Paris. Model made of metal, complete with display base, transparent case and box, 1:72 scale. SCANIA VABIS D11: City bus manufactured by Swedish company Scania-Vabis, equipped with double headlights and two doors opening on the right side. 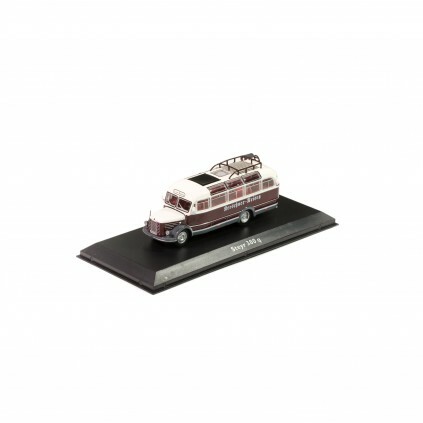 Model made of metal, complete with display base, transparent case and box, 1:72 scale.